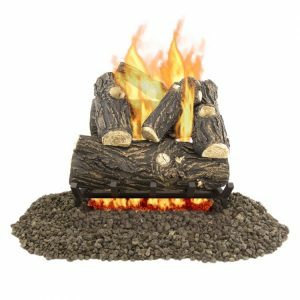 Keep your home warm with these Gas Logs from Pleasant Hearth. With a wide range of styles and sizes to pick from, you’ll find the perfect one for you. Pleasant Hearth offer both Vented and Vent-Free Gas logs that run on either Propane or Natural Gas. Pleasant Hearth Gas Logs are the perfect choice to keep you warm in your home. With a match lit ignition, the burners heat the air first, circulating the warmth through the room much like a central heating system. 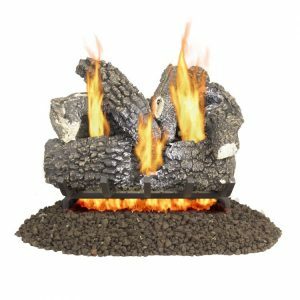 These decorative logs simulate a natural wood burning fireplace without the hassle or mess of a real wood burning fireplace. 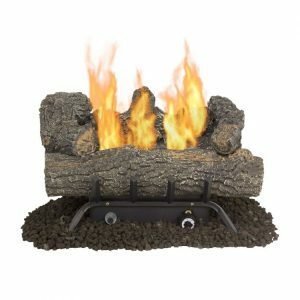 With minimal assembly required, and very easy to install, what’s not to love about these gas logs. 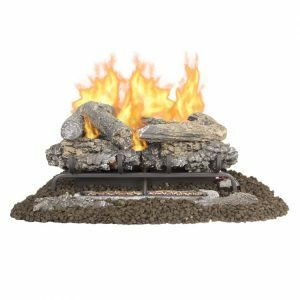 Pleasant hearth offers a range of vent-free dual fuel gas log sets and vented natural gas logs. The Vented Natural Gas Log Sets can be converted to LP Gas using a Safety Pilot LP conversion kit (sold separately). The logs are hand-painted, highly detailed concrete logs exhibit ambient design inspired by nature, and by the different type of logs. If you’re still deciding between Vented or Vent-Free Gas Logs, visit this page to get more of an understanding. Pleasant Hearth offer 2 styles of Vented Gas Log Sets in Willow Oak and Arlington Ash. Both sizes come in 3 sizes 18 inch (45,000BTU), 24 inch (55,000BTU) and 30 inch (65,000BTU). These vented gas logs will look stylish whilst radiating heat, perfect for your existing fireplace. Pleasant Hearth offer 3 styles of Vent Free Gas Log Sets Valley Oak, Southern Oak, and Wildwood. Valley Oak model comes in 24″ and 30″ sizes and both sizes output 33,000BTU. 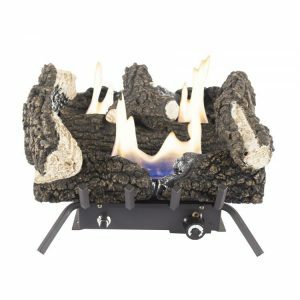 On the other hand, the Southern Oak and Wildwood come in 18″ and 24″ and product 30,000BTU.